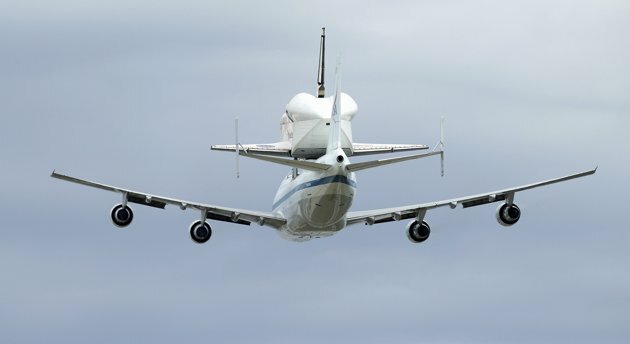 The space shuttle Discovery took off on its final voyage, on a piggyback jet ride to the Smithsonian National Air and Space Museum's Virginia annex. 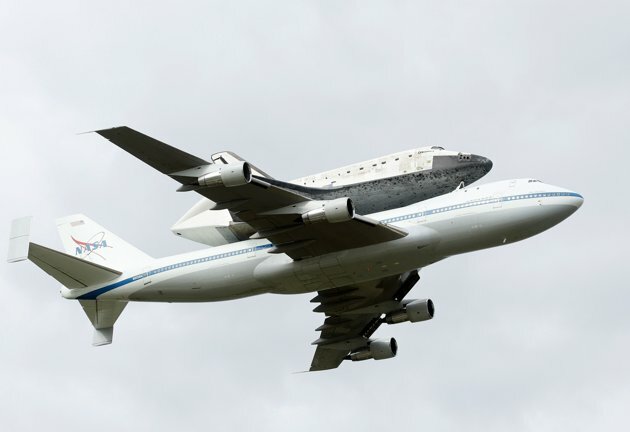 The United States retired its space shuttles last year after finishing construction of the $100 billion International Space Station, a project of 15 countries, to begin work on a new generation of spaceships that can carry astronauts to destinations beyond the station's 240-mile-high (384-km-high) orbit. 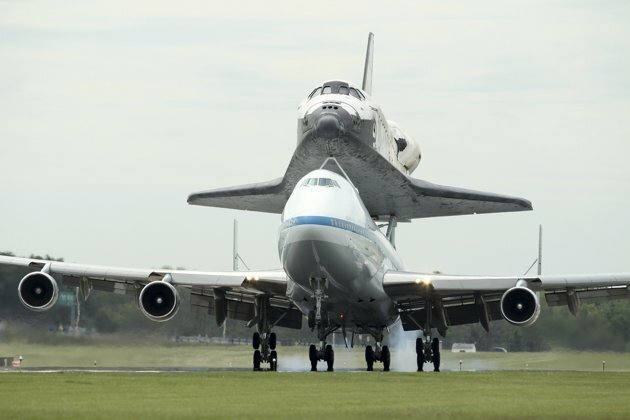 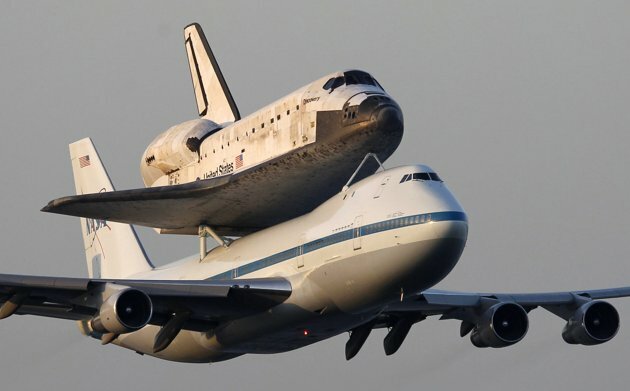 For its last ride, Discovery took off not from its seaside launch pad but atop a modified Boeing 747 carrier jet that taxied down the Kennedy Space Center's runway at dawn. 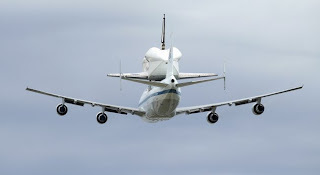 The shuttle's tail was capped with an aerodynamically shaped cone and its windows were covered.